I highly recommend Ooh La La! French Women's Secrets to Feeling Beautiful Every Day by Jamie Cat Callan, who also wrote French Women Don't Sleep Alone and Bonjour, Happiness! I read it last month and I wanted to promote this important book with a review. This is the account of the author's personal journey to achieve the French women's je ne sais quoi on a trip to France. Reminding me of Bonjour, Happiness!, she interviews French women. Her mission for the sake of beauty truly inspires the reader to discover her own ooh la la. I am happy to learn that beauty comes from within, from an expression of and paying regular attention to a deep connection with your body and soul. Cultivate being your true self and you can be stunningly beautiful. There are so many lessons to learn from Ooh La La! Quite enjoyable, reading the book feels like conversing with a quirky girlfriend. 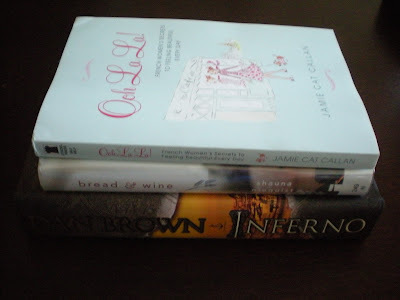 Since I am part of the European lifestyle blogging community, it takes a good book to offer something different, something new, and I feel that Ooh La La! does. She discusses many topics that get me thinking. For example, she suggests you select a perfume based on your personality and reflecting the specific phase of your life. I actually have a signature scent and was pleased to find I thought about it in a smart way! My signature scent is Chanel No. 5 Eau Premiere. Not really wearing perfume nor even wanting to before, on my 27th birthday, I had a change of heart and suddenly had to have my own fragrance I was known/remembered for. I was in Philadelphia on this special day, so I marched into the Macy's and asked for Chanel No.5, the ultimate classic scent, crafted by a strong woman I adore. Even though it smelled like perfume, a womanly scent to me rather than a girly floral or fruity one, it smelled very heavy to me and I was a bit disappointed. 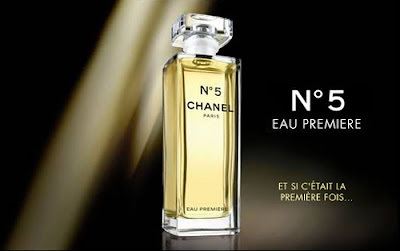 Fortunately, the sales lady recommended the Eau Premiere version, which she explained used the same ingredients but in different amounts and resulted in a lighter scent. She went on to say that many use Chanel No. 5 during the fall and winter but switch to this formula in the spring and summer. When I spritzed it on my wrists, I liked it and immediately thought I would wear it year-round. After leaving it on my skin for awhile and saw how it reacted to my body chemistry, I returned to the store the same day and made the purchase. I wear it daily and am on my second bottle now. I appreciate that this perfume is a modern twist on a iconic classic. I like to think that this reflects my life... full of classic and sophisticated conscious choices enlivened with passion and all things Italian. If you haven't already, go and read this book!